Episode 50! 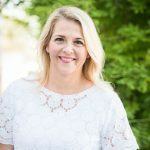 I can’t believe I am even typing that and I am so honored to share my interview with Rachel Nielson for this milestone episode. Rachel is married to Ryan and they have two children, Noah, who is adopted and Sally, who was conceived through IVF. If you’re not familiar with Rachel, you will immediately see she is both down to earth and relatable. She is also the host of The 3in30 Podcast for moms. 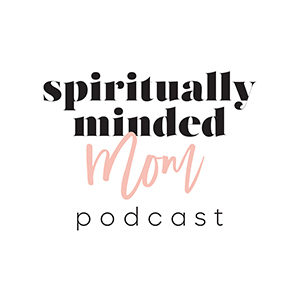 She interviews guests on a variety of motherhood topics and shares 3 doable takeaways every week. When I edit an interview, I generally jot down notes as I edit and look for themes of the interview. I looked at the notes I took for Rachel’s interview and realized I had found three main themes. As a nod to Rachel’s amazing podcast, here are three doable takeaways I found from this interview. Number 2: Whom the Lord calls, he qualifies. Rachel’s motherhood story illustrates beautifully both the joys and sorrows of motherhood. More importantly, Rachel’s journey teaches how trusting in God’s timing can bring us way more than we ever imagined. Read more about the parable of the currant bush Rachel referenced. The scripture Rachel referenced about all things working together for good for those who love God can be found in Romans 8:28. Read Rachel’s own words about her experiences in adoption by going HERE and HERE.